Using a Banner adds visual flair and character to your store website. See an example. 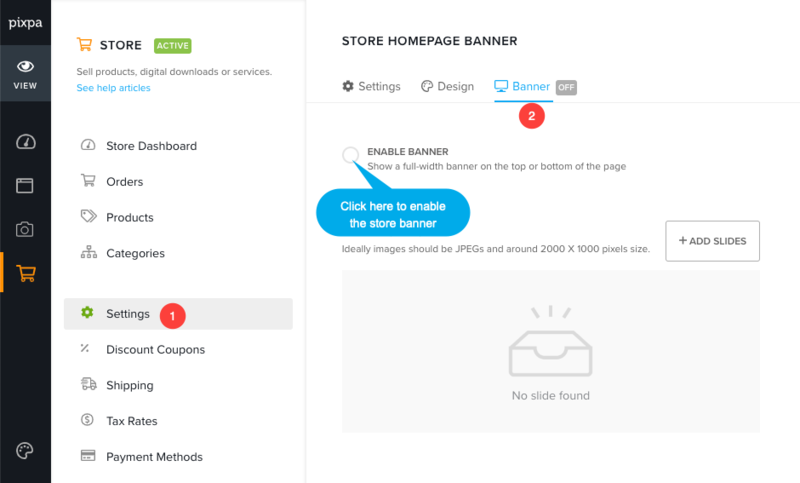 Banners can be placed either top or bottom of your store (under the website header) and are typically used to show a full-with banner image/image slideshow/video. Then click on Banner link on right top.